Increase Sponsors for Your Next Event! It is pretty well documented that most “successful” (I use quotes because success is subjective and relative) people have a morning routine. Some call it a morning ritual. Or a daily routine. Whatever you want to call it, it works. You may think, “Have you met my family?” (smile) That’s why I say a morning routine for all of us is so vital. But how many days have we left home in the morning as fatigued (especially mentally) as if we just returned home from working 12 straight hours? We had to contend with so many things that we barely had time to dress properly–let alone pray, exercise, read, etc. But we can change all that. You may also think, “I do the same thing every day. 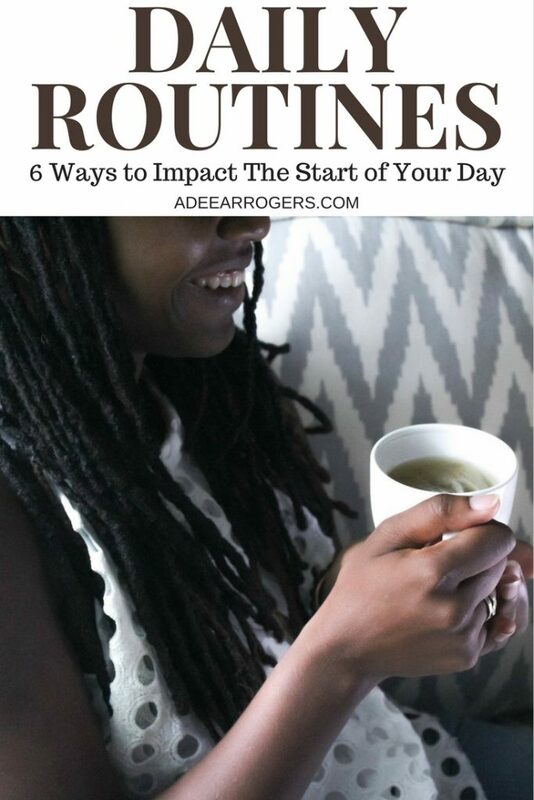 I already have a routine.” And you’re right–we do. We shower, bathe, and get dressed in virtually the same way every day. Many of us also pray and read scripture every day. But some of us don’t. Or we’re inconsistent. Or we only do it when things are good. Or when they are really bad. But there are some people who incorporate other practices into their daily lives that are solely for them. Before you have to throw back covers to get your kids to wake up, and look for keys that have been lost for the umpteenth time, you can actually take some time to do something JUST FOR YOU. Starting anything new can be challenging. I suggest that we start our morning routines with 3-4 daily practices–in addition to existing practices. Here are 5 ways that can help you create your daily routine. This post contains affiliate links. My disclosure policy can be found here. Photo from Create Her Stock. Mother Theresa says, “Prayer is putting oneself in the hands of God.” When you show gratitude and commit your day to God through prayer, we are setting the expectation that in His hands I can face and handle what the day presents. Prayer is not about the posture of your body per se, but the posture of your heart. After 6-8 hours of sleeping, our bodies need water. Before bed, make it a habit of keeping a glass of water by your bedside. I know you’re like, “but I like my water cold.” Chilled or room temp is actually better for your throat. But also, think about the things that can claim your attention on the way to the refrigerator. That’s why I suggest putting it beside your bed the night before. But you know me…I love a good experience. I don’t like drinking water much, so I need something to make it enticing. And nothing says, “drink me” like a bedside carafe and glass set! This one from Amazon is so dope! The glass fits over the top of the carafe–keeping your contents safe (maybe except from other people who want a drink water). 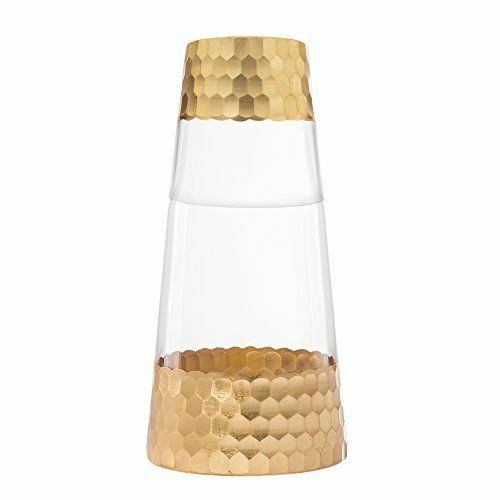 You can find a few more types of bedside carafes on my Amazon Influencer Page and my Kit page. Yup, light a candle at the start of your day. Candles are known for their calming effect. And starting our days surrounded by things that calm us is always good. Candles represent warmth and light. What an amazing way to start your day than to be reminded of the warmth and light God, our lives, our purpose and those we love bring to our lives! I suggest purchasing multiple candles for different parts of your home. A citrus scent for your kitchen. Peppermint or eucalyptus for your bathroom. Ginger or jasmine perhaps for your bedroom. Over time you will notice that even those smells will trigger your “it’s time to make the donuts” reaction and get you moving and going! My candle company of choice is Savoy Scents. You can find beautiful combinations of scents that will help heighten energy, calm, and focus. You can also try this set of candles. Choose candles that contain scents to wake up and energize you–like a citrus scent (like lemon, grapefruit, or orange), peppermint, patchouli, rosemary, etc. Let there be silence in my mind. Let there be warmth in my heart. Let there be peace in my soul. While dressing, cooking, or exercising, spend 10-60 minutes listening to things that are uplifiting. This is NOT the time to watch or read news…Lord know there is plenty of opportunity for that. Be intentional about listening to music or messages that will uplift, inspire, and help you set the tone for the day. I love gospel–so a lot of times I listen to one of my playlists on Spotify. But some people don’t want so much audible words first thing in the morning (I’m like that too). Find inspirational music, smooth jazz, things to calm you and energize you. On Spotify there are “productivity playlists” or “morning productivity” that can help. This is something you can do while listening to music. Write down 3 things you will accomplish that day. Sometimes I tie mine to a reward. I call it, “3 Things Before I…” However you decide to do it, list 3 goals for the day. This helps keep it top of mind. And yes, I can attest that laying down without these things done is a sure way to a restless night. Over time, it becomes an agreement with yourself. And not honoring that agreement will leave you feeling some kind of way. And it should. The most important word you can keep is the word to yourself. Spend some time (up to 30 minutes or so) reading or listening to a podcast. My grandmother only had a 9th grade education but she told me that despite that she promised herself she would learn something new every day. And I believe she did. She read the newspaper–even the sports section. She watched C-Span in addition to the news. And she has instilled that in me. I try to learn something new every day. This is why the interwebs can be so powerful. We can get high level education with minimal investment–just a few clicks of our mouse. I believe incorporating these practices into your daily routine will manifest so much in your life! Focus. Serenity. Preparedness. If you want to join a community of women who are committing to creating a daily routine that will set the trends for their day, join the TrendSetters Daily Routine Accountability Opportunity by joining my FaceBook group. You will find information and links to help you create your daily routine. Let’s unlock the secret to our future with a daily routine. Subscribe to get information and resources to create the life you want.